What's more green than giving a gift that leaves a legacy for future generations to enjoy? Welcome to Tree in a Box! 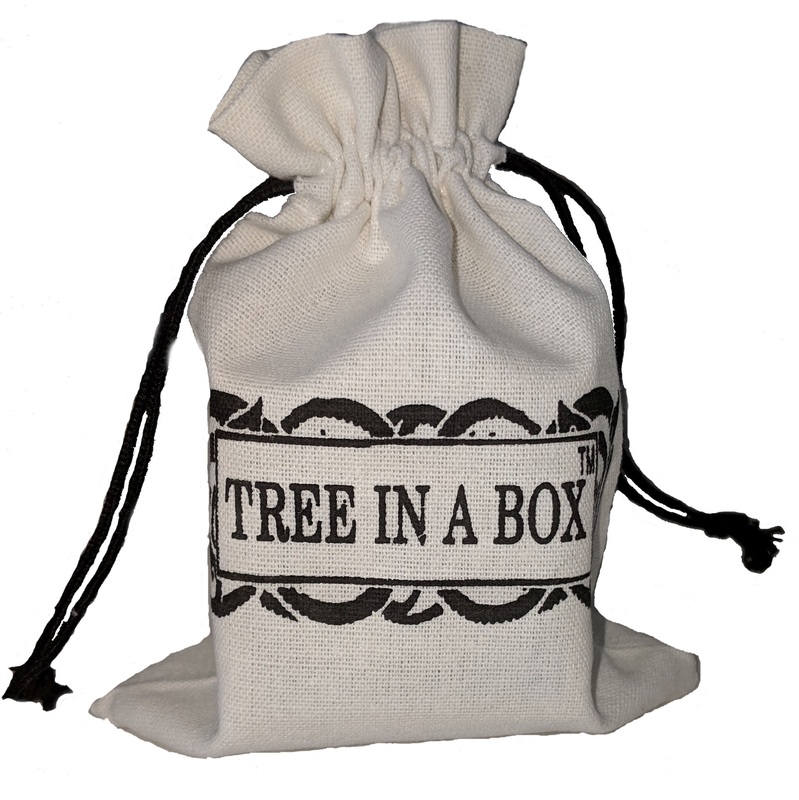 Tree In A Box produces the finest tree seed kits. Our kits are made up of organic, recycled, and recyclable materials sourced from US based companies. Tree In A Box kits provide everything you need to grow a tree from seed. Our Grow your own tree seed kits make the perfect eco-friendly gift for corporate promotional items, green wedding favors, party favors and gifts, community event handouts, and memorial dedications. Tree In A Box is excited to offer a new gift wrapping option for our tree kits. In addition to adding a personalized note, you can now have your tree kit shipped in a beautiful cotton gift bag. 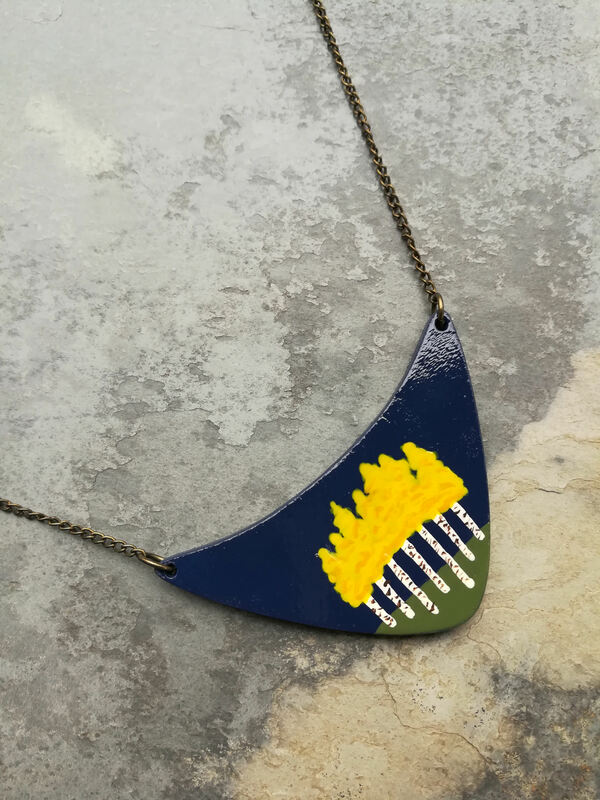 rewarding making and owning something handmade rather than mass produced. Spending her 20's in Portland, OR, she was surrounded by some of the most interesting and creative ways to express her inner artist. Now, residing in Chattanooga, TN, she is consistently inspired by nature and the desire to learn new skills to perfect her creations. A single tree can absorb as much as 48 pounds of carbon dioxide per year, this means that one tree can sequester 1 ton of carbon dioxide by the time is reaches 40 years old! Don’t want to wait 40 years, plant 4 trees and you can get the same results in as few as 10 years. In addition to absorbing carbon Dioxide, one large tree can provide a day’s supply of oxygen for up to four people. A single large tree can also pull up to 100 gallons of water out of the ground and releasing it into the air each day. Read more about environmental, economic, community, and personal benefits of trees on our Tree Facts page. Limited on space or lacking a “green thumb”? Tree In A Box tree kits will grow into full sized trees if placed in your yard, but they also make beautiful bonsai tree. To maintain your Tree In A Box tree as a bonsai, simply keep your tree in a small pot. This restricts the roots from growing and keeps the tree small. Not great with plants? Not to worry, Tree In A Box offers an unconditional guarantee that you will get at least one of the seeds to sprout. Partner with Tree In A Box and replenish the planet one seed at a time. 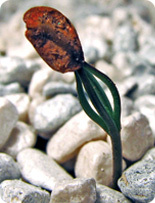 We unconditionally guarantee our seeds to sprout and will send new seeds upon request.